Chennai: Seven people from Tamil Nadu have been selected for the country’s fourth highest civilian award Padma Shri. Spiritual leader Shri Bangaru Adigalar, dancer Nartaki Natraj and drummer Anandan Sivamani are included in the list of awardees from Tamil Nadu which was announced by the Union government on Friday. Besides the seven, two other people who are well known in Tamil Nadu, are also selected for the awards. They are film personality Prabhu Deva who grew as a dancer from Kollywood to a renowned film director at the national level. Musician Shankar Mahadevan is also among the total of 94 selected for the Padma Shri award. None from Tamil Nadu were selected for the Padma Vibhushan and Padma Bhushan awards. 1. Bangaru Adigalar [Spiritualism] is a spiritual leader. He is the president of Adiparasakthi Charitable Medical Educational and Cultural Trust. He is called ‘Amma’, meaning mother inTamil, by his followers and devotees of the Adhiparasakthi temple. 2. Narthaki Natraj [Art-Dance-Bharatnatyam] is a disciple of Tanjore Shri K P Kittappa Pillai, who was a direct descendant of the Tanjore Quartet brothers (considered the fathers of Bharatnatyam). She learnt and practised under him in Gurukul (full time residential) for 14years and specialized in the Tanjore style Nayaki Bhava tradition. She is known as the transgender superstar of Bharatnatyam. 3. Madurai Chinna Pillai [Social Work-Microfinance] is from a small village near Madurai. She started a very successful banking system in the villages in Tamil Nadu and is a champion trying to reduce poverty and debt grievances by empowering women. Her intent efforts in leading a savings unit among women in the dept stricken village of Pullucheri became so successful that soon many groups sprung in the region with equal effectiveness. The Kalanjiam, microcredit movement received a huge boost from her dedication and contributions, reaching out to many women living under poverty. 4. Dr Ramanathan V Ramani [Medicine-Ophthalmology] or ‘Dr RVR’ as he is known, is the founder and the managing trustee of Sankara Eye Foundation (SEF). Sankara Eye Hospital is a unit of SEF and is one of the country’s leading eye care service providers. 5. Anandan Sivamani [Art-Music], commonly known by his stage name Drums Mani, is an Indian percussionist. He plays many instruments including drums, octoban, darbuka, udukai, ghatam and kanjira. He performed drumming during the IPL Championships in 2008 and 2010. He is affiliated with the Chennai Super Kings team, but gained recognition through his role as AR Rahman’s lead percussionist. 6. Ramaswami Venkataswami [Medicine-Surgery] is a plastic surgeon, founder of the Institute for the Research and Rehabilitation of Hand and the Department of Plastic Surgery (IRRH and DPS) of Stanley Medical College and Hospitals (SMC), Chennai, India. He is an alumnus of SMC and an elected fellow of the National Academy of Medical Sciences. 7. Achanta Sharath Kamal [Sports -Table Tennis] is a professional table tennis player from Tamil Nadu, India. He is the second Indian table tennis player to become 8 times national champion after Kamlesh Mehta. His current world rank is 31, as of October, 2018. 8. 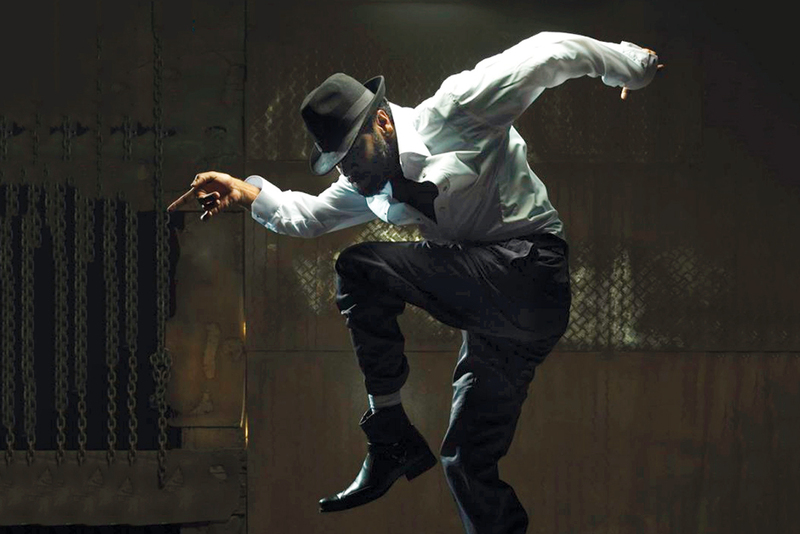 Prabhu Deva [Art-Dance], from Karnataka, is an Indian dance choreographer, film director, producer and actor, who has worked in Tamil, Telugu, Hindi, Malayalam and Kannada films. In a career spanning 25 years, he has performed and designed a wide range of dancing styles and has garnered two National Film Awards for Best Choreography. He is often referred to as the Indian Michael Jackson. 9. Shankar Mahadevan [Arts-Vocals-Films], from Maharashtra, is an Indian singer and composer who is part of the Shankar–Ehsaan–Loy composing trio team for Indian films. He has won several awards for both singing and composing music.